The Canadian Spa Company Halifax SE Plug and Play is a perfect addition to a backyard location with its compact frame and high-quality features. Enhancing the spa is multi-colour LED mood lighting and a cascading waterfall to create a soothing and relaxing atmosphere. An aromatherapy canister is built into the design to allow for scented beads to ease your tension and stress. 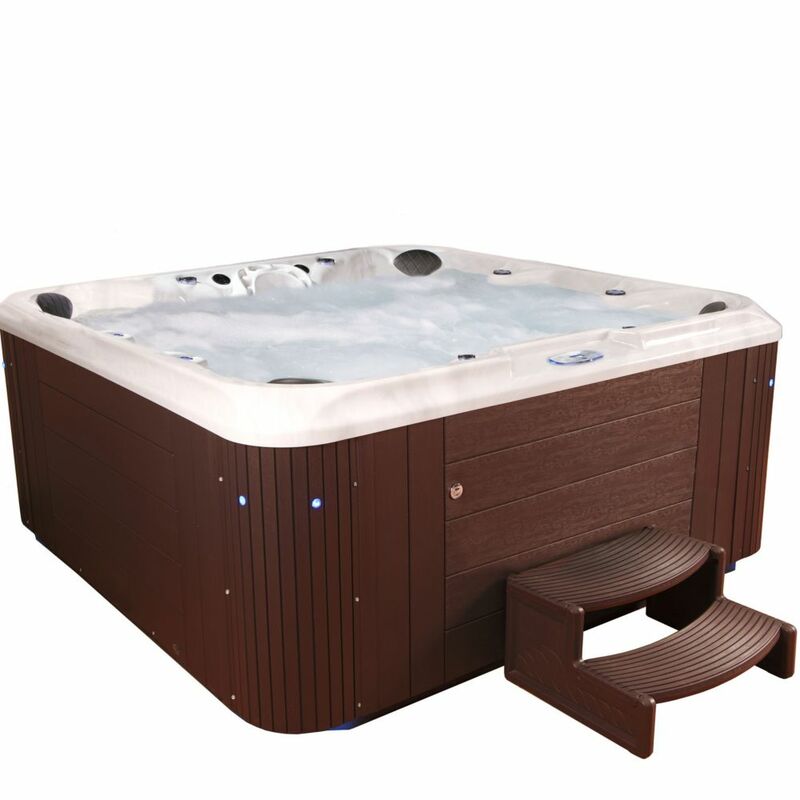 This Plug & Play hot tub can be located wherever there is access to a standard 110V 15A circuit for effortless installation. Canadian Spa Company tubs incorporate a strenuous water filtration system which includes Ozone water purification and Glacier Microban filtration, ensuring crystal clear water. Eminence 80 Jet Espresso Acrylic Hot Tub 240V Take elegance and affordability to the next level with Aqualife's Eminence spa. All 60 stainless two-tone jets and 20 stainless steel jets are powered by 3 high performance pumps that give quality zone-controlled seating. Each of the 4 captain's chairs features neck and shoulder jets and delivers optimum hydrotherapy from head to toe for you and up to 6 other people to enjoy. Customize your experience even further with this Bluetooth compatible spa. Housing two speakers in the heavy-duty acrylic shell and a subwoofer in the no maintenance exterior you have endless possibilities at your fingertips. This energy efficient 240V spa uses a 4kW Balboa all-season stainless steel heater that will continue to deliver maximum heating even during cold winter nights. Completing your spa is an insulated heavy-duty tapered cover, made a full inch thicker than industry standards, with locking clips to close your spa off from nature.